Molly Holzschlag President, Molly.Com, Inc.
Just in case you've not read Core CSS: Part I, I'll briefly review the purpose of a CSS selector. A selector in a style sheet signals the browser to find matches within those markup (HTML, XHTML, XML) documents to which the style sheet is related. There are more than a few selectors available for use (Table 1), but even intermediate and advanced CSS authors don't always have an opportunity to use some of them, largely due to crossbrowser support issues for a given selector. Core CSS: Part II will cover CSS 2.0/2.1 selectors. Where a selector is unavailable in contemporary Web browsers, a caution will be provided to alert you to any support concerns. To assist in visualizing how these selectors actually match, for each example you'll see an element, the corresponding CSS, and a document tree that visualizes what is selected within a sample document. Also provided are some use examples. There's also a universal selector, *, which when used will select every single element within a document. It's used in several hacks, including the infamous "star html" hack, which is problematic and invalid. While the universal selector is important to know about, it's probably not going to be something you use too often in real-world scenarios. Element selectors, also referred to as "type" selectors, select by matching elements. They are very broad in scope. For example, if I have a million documents with many more millions of h2 elements within them, by using an element selector I can single handedly apply styles to all of those h2 elements using one rule. Element selectors are supported in all CSS browsers and are very widely used for these reasons. In the corresponding markup document(s), all h2s are selected and the style is applied (Figure 1). Figure 1. An HTML document tree showing that each of the h2s in the document has been selected. Class selectors are extremely useful selectors that allow authors to add a class attribute to a given element in the markup, with a custom value. Then using that value preceded by a dot, write a corresponding rule using the class name. Figure 2 shows how this class, as written, will apply to both elements with the class attribute named "warning". Figure 2. Selecting all elements with a class of warning. You can limit a class to a specific element by placing the element selector before the class: p.warning. If you were to do this, only the paragraph will take on the class styles. Any other, non-conflicting styles that exist for the element p will also be sorted and included. The element will now pick up the styles of both classes. Typically, use of 2-3 class names can be helpful within context, but it's not a practice I'd recommend using without a strong sense of your site hierarchy and management. It's also important to point out that the source order of the class names in the markup document is of no consequence. However, if there are conflicts between the classes, sort order and specificity rules in CSS will calculate which rule takes precedence. Avoid underscores and other special characters in class and ID names. The best practice currently is to use hyphenation: nav-main (not nav_main). Also, while camelCasing is extremely useful to coders, it can add a layer of extra testing because CSS requires case-matching, so case within the markup documents and any associated CSS must match for rules to apply. In the style sheet ID selectors are written using the hash "#" (also known as an "octothorpe" for the word geeks among you) preceding a custom name. Figure 3 shows how this will now select the div with the unique id attribute named "content". Figure 3. Using ID selectors to identify the content area. The id name can only be used once per document, but many times within a site. While ID and Class names are in fact customized to suit your needs, it's considered best practice to avoid presentational names such as .redfont or #sidebar. What happens when the boss says "update all the red fonts on the site to be blue?" Easy enough to change the style in moments and update all those fonts, but now the markup documents are littered with class="redfont" when the actual visual result is blue! To avoid confusion of this nature, use naming that is descriptive (referred to as semantic naming) and where possible, consider creating conventions to be used site-wide. A pseudo class selector is a set of predefined class-like selectors. Pseudo class selectors are written with a colon followed by the predefined pseudo class name. Pseudo classes can then be attached to a variety of elements in order to achieve a given result. It's likely you've used pseudo classes as much as element, ID, and class selectors, for a number of them are integral to styling links (Table 2). Note that :hover, :focus and :active are all referred to as "dynamic pseudo classes" because along with presentation they also allow for dynamic behavior, such as creating interesting looks for navigation, assisting with usability, and styling form controls. An example would be (Figure 4). Figure 4. The form control that has focus (in this case the text input box associated with "Name") takes on the style you see here using the :focus selector on the input element. Child selectors are created by combining a parent element with the > combinator and a child element. This allows you to style only the child element or elements of the parent, without having those styles inherit down the tree. It's also a great way to reduce the use of class attributes, which help make managing sites all the more easy. Consider Figure 5. Figure 5. An unordered list element (parent) with three list item child elements. Not only has this limited the rule to the ul with an id of "nav", but it has also made the rule more specific both literally and technically. Also, you'll note that there's no white space surrounding the combinator in the first example, whereas in the second, there is. Either way is acceptable according to the spec. You can use as many children within the selector as is required. In a scenario such as Figure 6, you could write a very specific selector to select only the children of the nested ordered list item and style it with a leading zero decimal. Figure 6. Tree depicting a nested ordered list within a nested unordered list with a parent unordered list. Using Child selectors, we can select children by following their ancestral path. Descendent selectors, as with Child selectors, begin with an element that has descendents. The combinator for descendents is a space. Since children are descendents, we can re-examine the same parent-child relationship we first did when examining child selectors (Figure 7). Figure 7. Children are also descendents. The differences is that not only the li children of the ul will be styled, but all li descendants of that ul and the ol will get the same style as well since all list items descend from the original unordered list (Figure 8). Figure 8. Descendent selectors select all descendents of the defined parent element, in this case, nested unordered lists. Note that the list item that is child to the ordered list element will also receive the style, for it too is a descendent of the original parent list. The selector will now select the very last list item in Figure 8, which is the child of the ordered list item element in the tree hierarchy. None of the other list items will take on this rule. Fortunately, Descendent selectors are widely supported in current CSS browsers including IE 6.0 and later. It's a common design theme to style a first paragraph somewhat differently using a larger font, or emphasized font, bringing the reader's eye to the critical introductory material. Using an Adjacent sibling selector, we can do this quite easily without using a class attribute on the first paragraph. The combinator for the Adjacent sibling selector is the plus sign, +. This selects the first adjacent paragraph element (Figure 9), with no change to any of the other siblings. Figure 9. Selecting a sibling using Adjacent sibling selectors. You can use multiple sibling elements to reach a given sibling. Let's say you wanted to select not the first but the third paragraph in the example and have it display as italic. Figure 10 shows the selection. Figure 10. Selecting a further removed sibling using a string of adjacent siblings. Attribute selectors are a curious piece of selectors because they really are more akin to programmatic pattern matching than presentational design needs. There are four Attribute selectors that are available in CSS 2.1 (Table 3). We can style any anchor elements with a title attribute present, but the style will not apply where no title attribute is present (Figure 11). Figure 11. Applying style using an attribute name selector. The selector will match only an image element with an attribute of src='images/photo.jpg' and no other image elements will be selected (Figure 12). Figure 12. Applying a border to only the photo using the complete (name+value) attribute selector. Figure 13 shows the results. Figure 13. Applying a border to only the photos with multiple space separated words where "Portland" appears within the image's alternative text string. Both the first and third elements will take the style, whereas the middle one will not. (Figure 14). Figure 14. Applying style using pattern matching. Note however that in the case of hyphen matching, order matters. The hyphenated word must be first in the string. Had we switched the third paragraph's attribute to title="rhyme-traditional" the style should not apply. As with pseudo classes, pseudo elements are predefined elements within CSS. There are four of which to be aware, as described in Table 4. Figure 15 shows the results. Figure 15. Using first letter and line pseudo elements to apply style. Notice that in the case of :first-line, the "line" is defined as whatever amount of characters make up the first line. Because this is not always the desired result, using min-width and max-width properties to limit line length wherever possible can address this issue. Both the first letter and line pseudo elements have good support across browsers, including IE 6.0. Figure 16 shows the results in Firefox. Figure 16. Using pseudo elements to generate and style the quote marks. The caveat, and the cause of misuse and therefore controversy has to do with the fact that the content generated by pseudo elements results in pseudo content. In practical terms, this means the content never actually appears in the content layer, only the presentational layer! In a situation where the generated content is largely decorative or practical in some sense but does not inhibit access to important data, this is fine. Take a look at the generated source by Firefox and you'll see the quotes called for do not appear in the code at all. Figure 17 shows the generated results. Figure 17. You can generate actual content, but it will only appear on the presentational surface. However, when we look at the source code, we see that the generated content does not appear within the code (Figure 18). Figure 18. While we can visually see the generated content on the screen, it does not appear within the actual body of the document. Therefore, if you are generating important content to the desktop screen that must be comprehensible, generated content is not the way to go. It can cause problems for copying, printing, reading, saving, and for anyone using Internet Explorer IE7 or earlier, simply non-existent due to complete lack of implementation for the :before and :after pseudo elements. Selectors can be combined, giving authors highly specific ways of working to style and manage documents. Now all these selectors will share the declaration properties. Grouping is useful when you have a lot of shared features between elements. You can group those elements as shown, and then create more specific rules for individual elements. You might have heard of "CSS reset" or "normalization" which uses this technique. As you've already seen in several of this refcard's examples, you can combine selector types in order to create what some designers and developers refer to as complex selectors. Table 5 shows some examples as well as the selectors definition,and to help you practice,the selector's specificity. Read selectors from the right of the selector,it helps! The resources in Table 6 should help you get more information on the topics discussed in this card. http://meyerweb.com/eric/thoughts/2007/05/01/reset-reloaded/ Eric Meyer's take on using reset or "normalization"
Core CSS: Part I-Available Now! There's also a universal selector, *, which when used will select every single element within a document. It's used in several hacks, including the infamous \"star html\" hack, which is problematic and invalid. While the universal selector is important to know about, it's probably not going to be something you use too often in real-world scenarios. Element selectors, also referred to as \"type\" selectors, select by matching elements. They are very broad in scope. For example, if I have a million documents with many more millions of h2 elements within them, by using an element selector I can single handedly apply styles to all of those h2 elements using one rule. Element selectors are supported in all CSS browsers and are very widely used for these reasons. Figure 2 shows how this class, as written, will apply to both elements with the class attribute named \"warning\". In the style sheet ID selectors are written using the hash \"#\" (also known as an \"octothorpe\" for the word geeks among you) preceding a custom name. Figure 3 shows how this will now select the div with the unique id attribute named \"content\". While ID and Class names are in fact customized to suit your needs, it's considered best practice to avoid presentational names such as .redfont or #sidebar. What happens when the boss says \"update all the red fonts on the site to be blue?\" Easy enough to change the style in moments and update all those fonts, but now the markup documents are littered with class=\"redfont\" when the actual visual result is blue! To avoid confusion of this nature, use naming that is descriptive (referred to as semantic naming) and where possible, consider creating conventions to be used site-wide. Note that :hover, :focus and :active are all referred to as \"dynamic pseudo classes\" because along with presentation they also allow for dynamic behavior, such as creating interesting looks for navigation, assisting with usability, and styling form controls. An example would be (Figure 4). Figure 4. The form control that has focus (in this case the text input box associated with \"Name\") takes on the style you see here using the :focus selector on the input element. Not only has this limited the rule to the ul with an id of \"nav\", but it has also made the rule more specific both literally and technically. Also, you'll note that there's no white space surrounding the combinator in the first example, whereas in the second, there is. Either way is acceptable according to the spec. Figure 13. Applying a border to only the photos with multiple space separated words where \"Portland\" appears within the image's alternative text string. Figure 14. Applying style using pattern matching. Note however that in the case of hyphen matching, order matters. The hyphenated word must be first in the string. Had we switched the third paragraph's attribute to title=\"rhyme-traditional\" the style should not apply. Figure 15. Using first letter and line pseudo elements to apply style. Notice that in the case of :first-line, the \"line\" is defined as whatever amount of characters make up the first line. Because this is not always the desired result, using min-width and max-width properties to limit line length wherever possible can address this issue. Grouping is useful when you have a lot of shared features between elements. You can group those elements as shown, and then create more specific rules for individual elements. 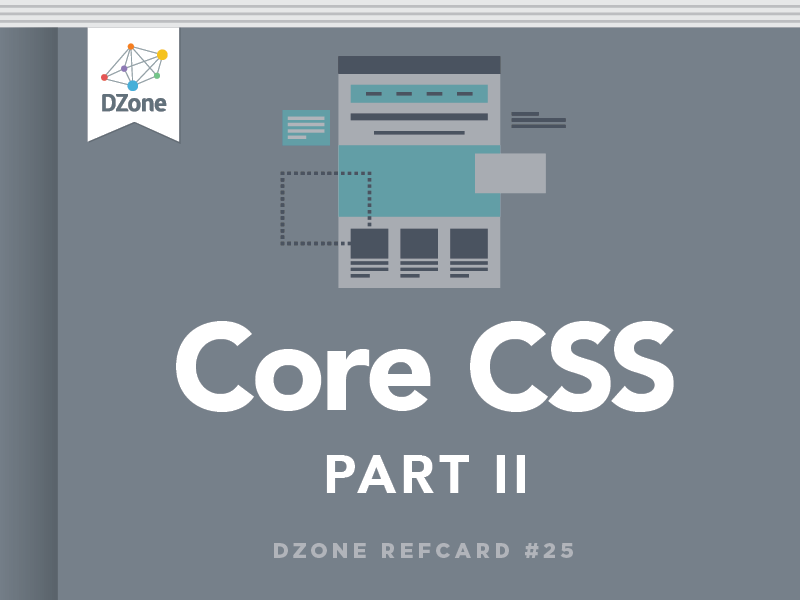 You might have heard of \"CSS reset\" or \"normalization\" which uses this technique. http://meyerweb.com/eric/thoughts/2007/05/01/reset-reloaded/ Eric Meyer's take on using reset or \"normalization\"